Here at Clarity Audiology, one of the services we offer is helping customers select custom ear pieces. Based on custom molds, earplugs for musicians are tremendously useful. Here at Clarity Audiology, one of the services we offer is helping customers select custom ear pieces. One example of a custom ear piece is an earplug for musicians. Based on custom molds, earplugs for musicians are tremendously useful. 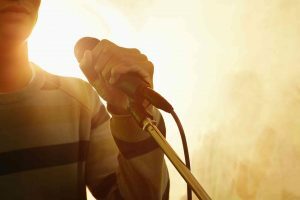 Hearing loss is much more prominent in both concert performers and concert-goers. If you are a musician, or if someone you know is, consider the benefits of earplugs for musicians. Here are the reasons performers will often sport these earplugs while on stage, and the value of hearing protection for those musicians who do not perform on stage as often. Have you been to any live shows or concerts this summer? You might notice that performers on stage often have an earplug in one ear or the other. These earplugs are commonly seen in popular television shows based on musical performances as well. But what could the reason for these earplugs be? Around the area of the stage, you will likely see huge speakers and large amplifying equipment. These pieces of equipment will produce an overwhelming amount of sound. Earplugs can help regulate the amount of sound and noise reaching the performer’s ears. This will allow them to concentrate and perform better, especially if they are trying to hear themselves sing so they can stay in tune and on key. This type of ear plug is commonly called in-ears. In-ears have a custom-fitted speaker hidden inside. The performer can now hear the music through the hidden speaker instead of the larger external speakers. These earplugs also serve another function: they are a link to the other performers on stage, besides the singer. They are also linked to the various pieces of sound equipment around them, such as the instruments they use. Sound engineers offstage can regulate how the levels of sound channeled to the performers. Other noises unrelated to their performance are often canceled out. This noise-canceling function serves to protect their hearing. Who is a musician? Legendary rock bands, transcendent DJs, and pop music icons are not the only musicians who matter. Professional musicians and aspiring musicians alike can still play in groups such as bands or orchestras. Professionals musicians may need in-ear earplugs that keep track of sound levels around them, but aspirants typically only play as a hobby. Or they could be learning to play. While they may not perform on stage, or often at all, earplugs can help aspirants. After all, these musicians still require robust sound control and hearing protection. Making music of any kind can result in hearing loss if not properly guarded against. While standard ear plugs are an option to consider, custom-fitted ones are more likely to be the wiser choice. This entry was posted on Friday, July 7th, 2017 at 11:50 am. Both comments and pings are currently closed.